If either you or your children have braces, it’s important to practice proper daily cleaning and care — But it’s also necessary to schedule regular appointments with your orthodontist and dentist to ensure your teeth are clean and correcting the way they should. For the first few days of initially getting braces and occasionally after you get your braces tightened, soft foods are recommended. Some examples of soft foods include mashed potatoes, scrambled eggs, oatmeal, pasta, smoothies, and soups. You also want to cut food into smaller pieces, especially those you would normally bite into like apples, raw carrots, corn on the cob and chicken wings. Avoid hard foods, sticky foods, and foods high in sugar. 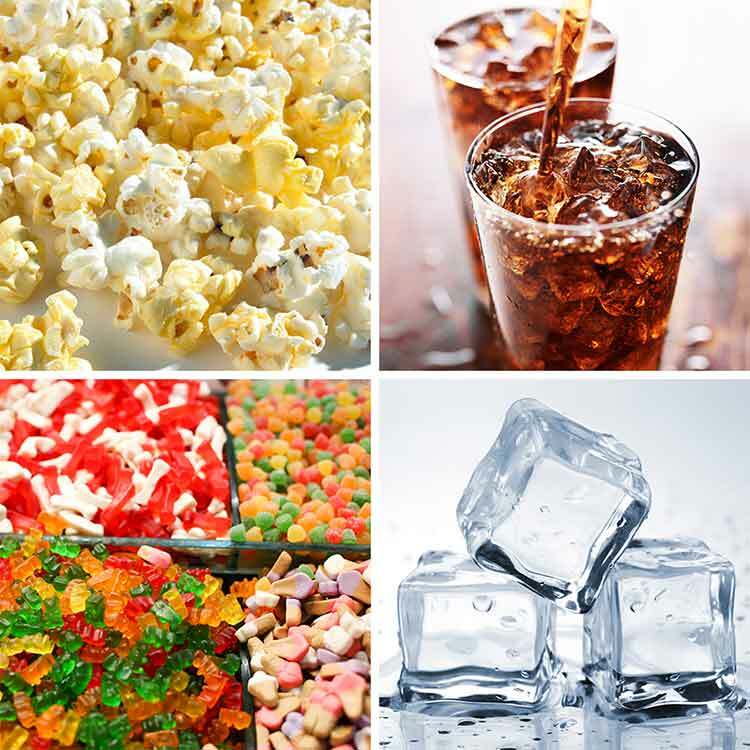 Sugary foods can cause decay and other oral problems. It’s important to moderate beverages high in sugar to no more than once per day such as soda, sweetened tea, Gatorade, Kool-Aid, etc. are not uncommon during treatment. As your teeth shift, you may find the initial length of the wire is no longer needed. If you do notice a loose or broken wire or bracket, please call our office immediately to set up an appointment for repair. If you need to cut a wire in case of emergency, you can use fingernail clippers that have been washed and sterilized in alcohol. In some cases, you can move the wire with a cotton swab or an eraser. You can also try covering it with a small piece of wax. First, check to see if the wire is still attached to the bracket. If so, leave it in place and call our office to set up and appointment for repair. If it’s attached you may press it gently back into position using a cotton swab. Use orthodontic wax to hold the broken bracket in place in your mouth until you can arrange an appointment. If the bracket has come loose, remove it if you can easily and bring it with you to the orthodontist for reattachment. It’s important to brush your appliance as part of your regular brushing and flossing routine. Soaking the appliance once daily is helpful because food particles and plaque can accumulate like they do on the teeth. You can gently brush your appliance with toothpaste and warm water, or dissolve a Polident, Efferdent, or other denture-cleaning tablet in a glass of water at room temperature and put your appliance in the glass. Also, remember to always keep your retainer or aligner in it’s case to prevent accidentally leaving it somewhere, throwing it away, damage or losing it. It is critical to practice proper technique, as gingivitis can form in as little as 48 hours. The American Dental Association advises brushing two to three times per day or after every meal. The best way to brush with braces is to place your tooth brush at a 45-degree angle and brush in a circular motion above the braces, beneath the braces and behind the teeth and gently on the gums for approximately 3 minutes. It is also critical to floss as regularly as you brush. However, with braces, you must thread the floss under the archwire and between the teeth reaching each side of every tooth. A water flosser is highly recommended to help maintain optimal dental health during treatment. Whitening is strongly discouraged during traditional braces this includes whitening toothpaste or whitening mouthwash; the whitening product will only work on the place it touches, meaning once you’ve completed treatment your teeth will likely vary in color.